Established in 1826, Ottawa’s Byward Market is one of Canada’s oldest public markets and remains a top destination for tourists and locals alike. With its boutique shops, eclectic mix of restaurants and outdoor market filled with fresh fruits, vegetables and local artisans, there’s no shortage of activities and attractions to see. 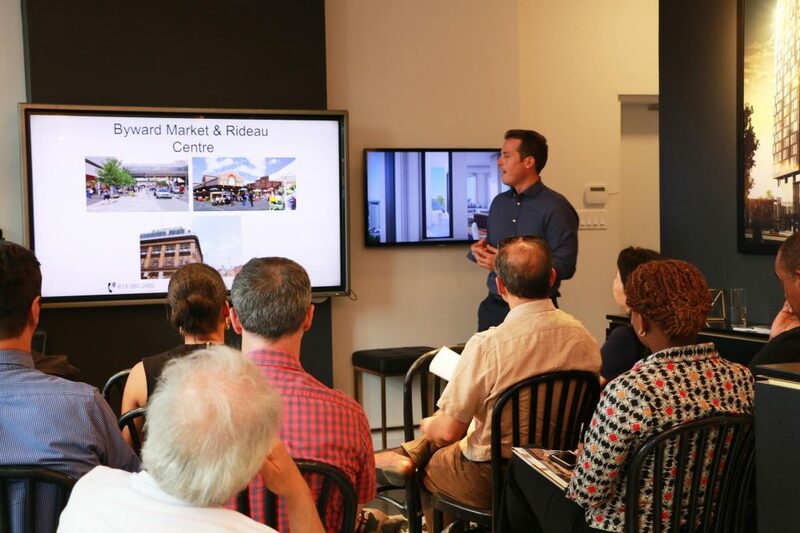 The area was the subject of discussion at a recent Summer Talks event held by DevMcGill, the developer of ArtHaus Condominiums, currently under construction in the Byward Market. 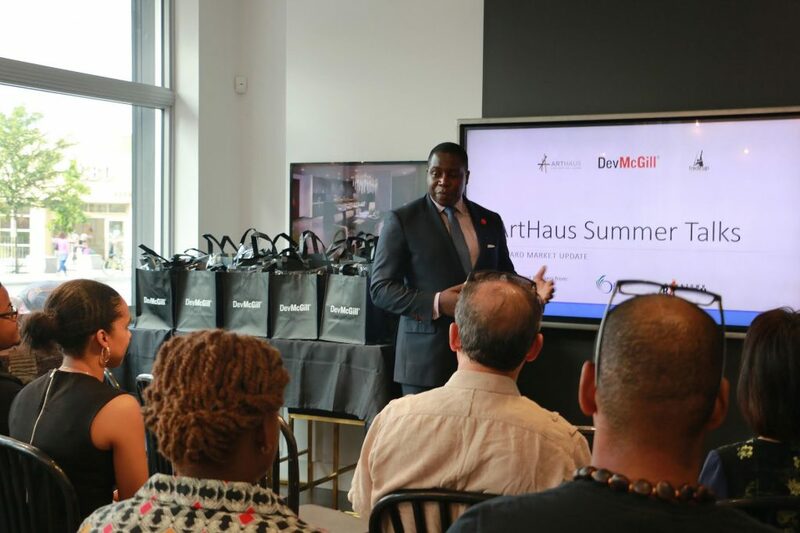 Hosted by Derek Nzeribe, Senior Vice President of TradeUp Real Estate Inc. — the sales team behind the project — ArtHaus Summer Talks featured presentations by Mathieu Fleury, Ottawa Councillor for Ward 12 Rideau-Vanier and Peggy Ducharme, Executive Director of the Downtown Rideau BIA. The guest speakers highlighted the diversity and growth of retail and commercial projects in the neighbourhood making it one of the most attractive areas for residential development in the city. And, with the arrival of the city’s new Light Rail Transit (LRT) system in 2018, the area will become more connected to rest of the National Capital Region. When ArtHaus is completed in 2017, it will form the residential component of the $100 million expansion of the Ottawa Art Gallery and the redevelopment of Arts Court at Nicholas Street and Daly Avenue. The ambitious project is a joint venture between the City of Ottawa, DevMcGill, The Ottawa Art Gallery, Group Germain and the University of Ottawa, resulting in one of Canada’s most innovative mixed-use urban developments. In addition to the 89-unit residence, the master plan will see a fully renovated Ottawa Art Gallery with double the exhibition space, a new 1,600 square foot theatre overseen by the University of Ottawa and the city’s first Le Germain Hotel. Priced from $246,990, the suites at ArtHaus are located on the upper floors of the 23-storey tower ensuring outstanding views of downtown and the surrounding areas. Designed by the award-winning interior design team at U31, the suites boast spacious open concept floorplans with an abundance of natural light, gourmet kitchens and open air terraces for outdoor enjoyment. Standard finishes include nine-foot smooth finished ceilings, pre-finished engineered hardwood floors, custom cabinetry and quartz countertops. A full appliance package with fridge, dishwasher, cooktop, oven and range hood is also included. Amenities at ArtHaus include a dramatic lobby with sculptural ceiling lights integrated seating areas, and a gallery wall featuring the work of local artists. 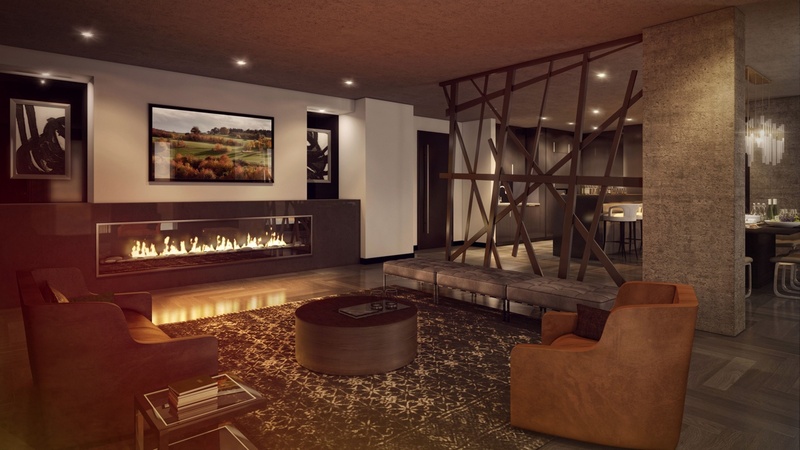 On the 15th floor, residents will have access to the Firestone Lounge which comes complete with a fireplace, TV lounge, catering kitchen and formal dining room. A modern fitness centre is also on site with cardio equipment, yoga and weight training areas. To learn more about ArtHaus, visit the sales gallery at 264 Rideau Street, open Monday to Thursday from 12pm to 6pm and weekends from 12pm to 5pm. 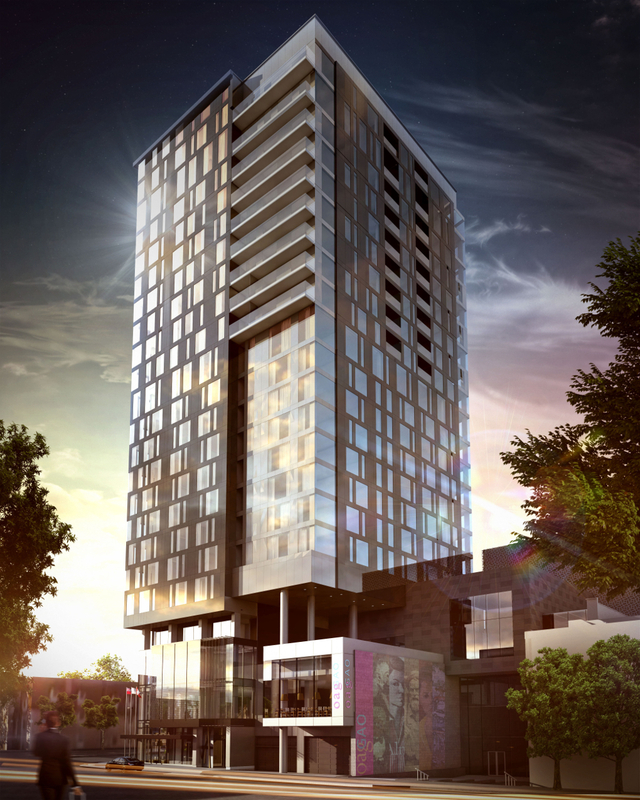 For more information call 613 909 3223 or email sales@arthauscondos.com.